November is in many ways the beginning of the farming year on a Scottish hill farm. Match-making mainly! 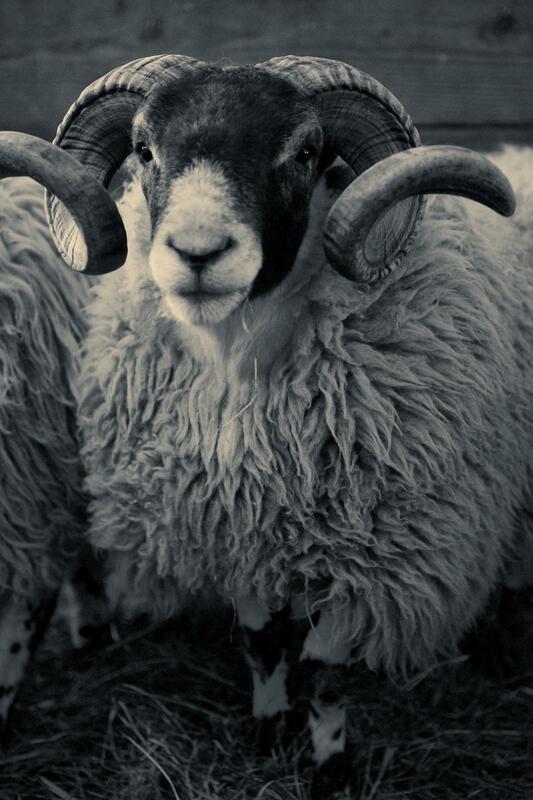 A tup is a male sheep. 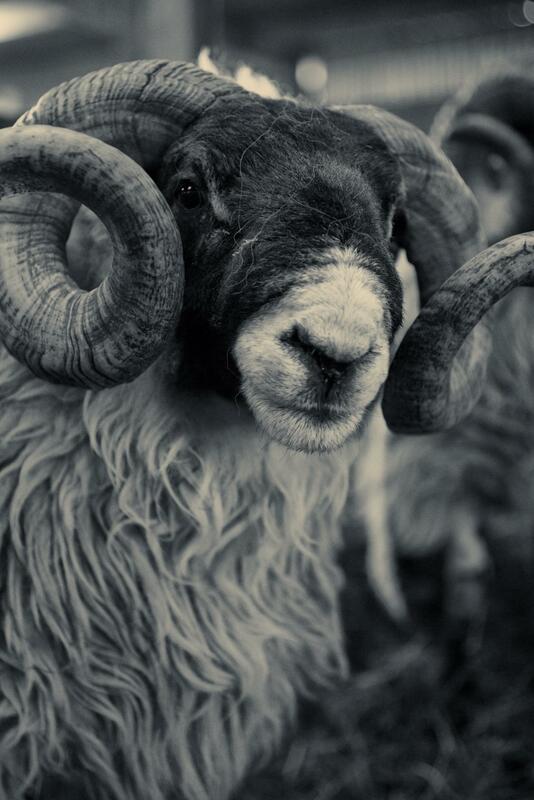 A tup is also known as a "ram", but in Scotland the word "tup" is used more commonly. In November the ewes will be very much interested in finding a handsome tup (or ram). However, we decide when the tups are allowed in with the ewes - this way we avoid early surprises and plan for the lambs to be born when there is good grazing available to boost the ewes milk supply for her offspring. A ewe's gestation period is 5 months so the tupping is carefully planned for the new lambs to be born in the following April and May. That's considered to be fairly late for lambing but up here in the hills, spring can be a little later than elsewhere. The weather has hopefully become a little warmer by then to improve the pasture for the new lambs when they need it and for their mothers who need the energy for producing milk. For much of the year you might see the tups taking things easy in the field in front of our house. Just before tupping season when hormones start to run high, the tups are moved into the sheep-shed to keep them out of mischief! When the time is right, each tup is allowed in with his ewes. Itʼs important for us to make sure that he stays in the right place and doesnʼt stray from his ground and his group of 60-70 ewes. Heʼll generally have about 6 weeks to “service” each ewe but with that many thereʼs not much romance involved - itʼs hard work for him! To keep the ewes "interested" we put out some fresh tups after a few weeks and give the first lot a a well-earned break. In the winter of 2010 the snow was so heavy the tups were snowed out on the hill, eventually coming back a few weeks later - a little tired but in good health.